Our pastor, Rev. Randal Ehrichs of Good Shepherd Lutheran Church in Panama City, said “Thanks and glory be to God for our beloved sister in Christ, Dr. Elizabeth Neel.” Dr. Bonnie, as she was fondly called by her family at Good Shepherd, was called home to the Lord and bestowed upon her church a wonderful memorial. 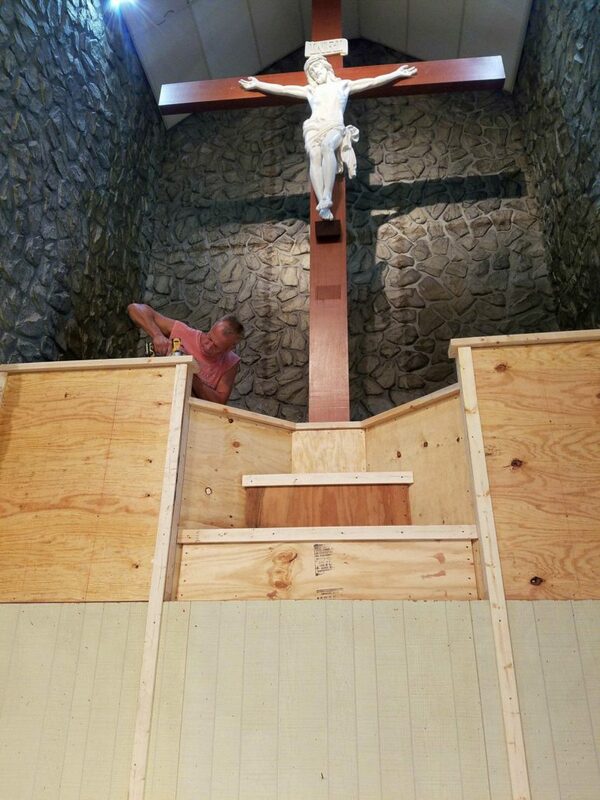 In assembly, the congregational members decided to send 10% of the memorial gift to the Southern District and asked God to bless the remainder in the badly needed renovations to their 50-year old worship facilities. Constructed in the late 1960s, Good Shepherd had somewhat of a contemporary interior and theme in its sanctuary. The design of the remodel took the church back into a more historical and traditional past in church architecture and design. The renovations included removal of the red carpet, replacing it all with hard-surfaced block-styled granicrete. The windows, walls, communion rails, and the entire altar area were redesigned. After three months of worship in their family life center, the congregation returned to its newly renovated sanctuary for a dedication during Divine Service, on October 15th.